According to a report by PCWorld, Gartner believes solid-state drives will finally reach mainstream pricing next year -- a proposition that has taunted hardware buffs for eons. The research outfit estimates that by the second half of 2012, mainstream flash-based storage drives will reach $1 per gigabyte, putting them well within the grasp of most consumers and not just well-funded enthusiasts. Intel's current-generation 80GB 320 series SSD (essentially an updated second-generation X25-M) is priced at $180, or about $2.25 per gigabyte. That price only goes up when you start looking at models outfitted with SATA 6Gb/s, such as Intel's 510 series or OCZ's Vertex 3 line. By comparison, it's not difficult to find 1TB and 2TB hard drives for less than a dime per gigabyte. While SSDs have become more affordable over the last few years, Gartner expects NAND flash prices to fall by 30% this year followed by another 36% next year. Those declines are attributed to the rise of tablets and other electronics that ship with flash storage. 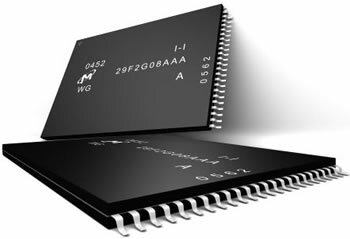 Not only are consumers buying more flash chips, but they're demanding higher capacity solutions. Both are causing manufacturers to increase their output, which will eventually push prices down. Although we're mostly excited about buying cheap SSDs for our desktops and notebooks, Gartner notes that those types of drives account for a small chunk NAND flash market. While flash cards and USB drives represented 38% of the NAND bit consumption in 2010, SSDs only accounted for 7.9%. With prices on the decline, that figure is expected to double to 15.9% by next year. How cheap will SSDs have to get before you're willing to take the plunge?